Porsche has become the world’s first vehicle manufacturer to offer lightweight wheels with braided carbon fibre. 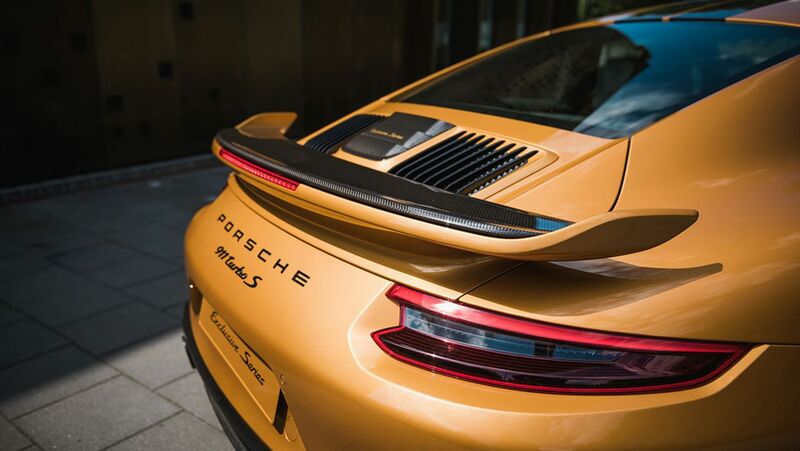 They are available now as an option for the Porsche 911 Turbo S Exclusive Series. Carbon, the characteristically black high-tech material, can be fully appreciated with a protective layer of clear lacquer. Together, the innovative wheels weigh around 8.5 kilograms less than standard alloy wheels, which is a reduction of 20 per cent. They are also 20 per cent stronger. With a reduced unsprung weight, the tyres trail the surface of the road better and are perfectly optimised for absorbing longitudinal and lateral forces. Lower rotating masses mean more spontaneity both in acceleration and braking. The result is increased driving dynamics and driving pleasure. The new 911 Turbo S Exclusive Series is the most powerful and unique 911 Turbo S ever. The new model is accompanied by an innovative and interactive online campaign.